Soil enhancement for increasing conifer growth and overall diversity of under-story plants. Hugelkultur, have you heard of it? It’s like active composting while growing plants. This approach is believed to have originated in Europe as a technique for growing plants in places with harsh climates and short growing seasons. Directly translating to “hill culture,” it’s not fully known whether the name came from the hill-like garden it creates, or because it originated in the hill-towns of Europe. But despite it’s origination, people are finding that Hugelkultur is a useful tool for supplying long-lasting nutrients to your plantings! 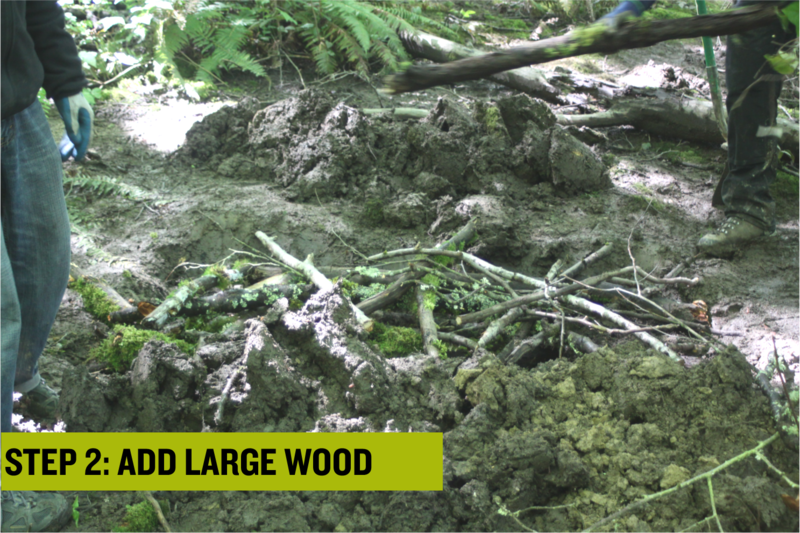 Before you start, make sure to coordinate with Green Seattle Parnership staff if you plan on building a mound on Parks property. When choosing a site for your Hugelkultur mound, look for bare soils that have little growing, and be wary of surrounding plants. Remember that you will be planting into this mound, so you want to give enough space for your plants to flourish. 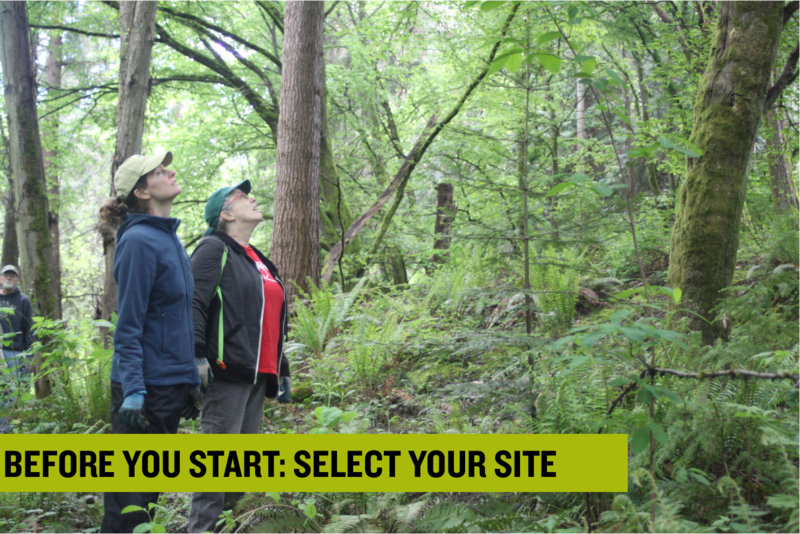 Once you have your site selected, you want to gather your materials. These materials will include: large and small pieces of wood, dead leaves and organic material, and soil. Try to utilize materials on your site, but without depleting your surrounding resources. If you are able to, you can bring in outside soil, compost, or mulch to add to your pile. 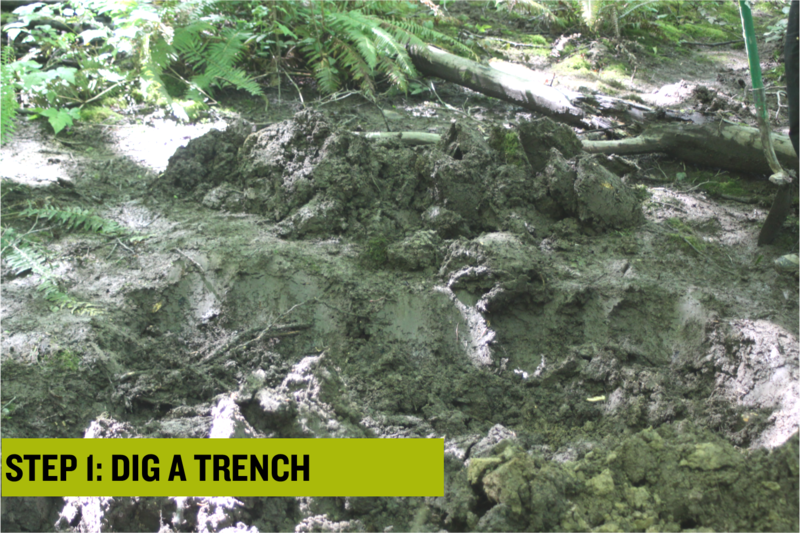 Dig a trench about a foot deep and reserve soil off to the side. 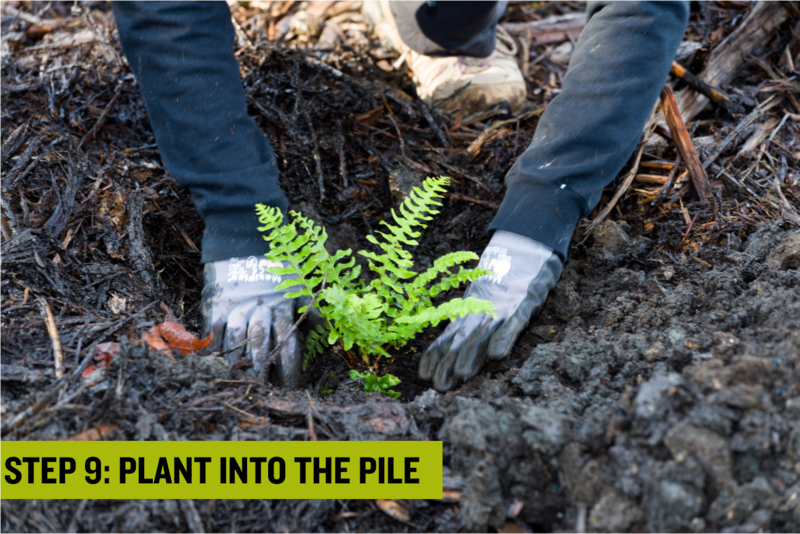 This step isn’t always needed, but if the soil from your trench is not too degraded, it can be used as a top-soil for finishing your Hugelkultur pile. Stack large wood in a criss-cross method, making sure to maximize air-space within the pile. Proper air flow is critical because the microbes in your pile will need oxygen in order to actively decompose the organic material above. Now you can add smaller pieces of wood to your pile. 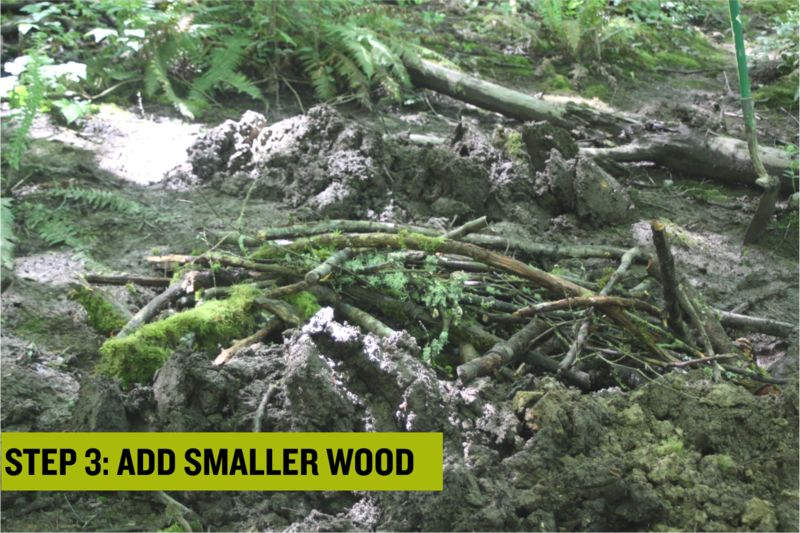 It’s good to mix in wood at various stages of decomposition, with some softer, more rotten pieces in the pile. 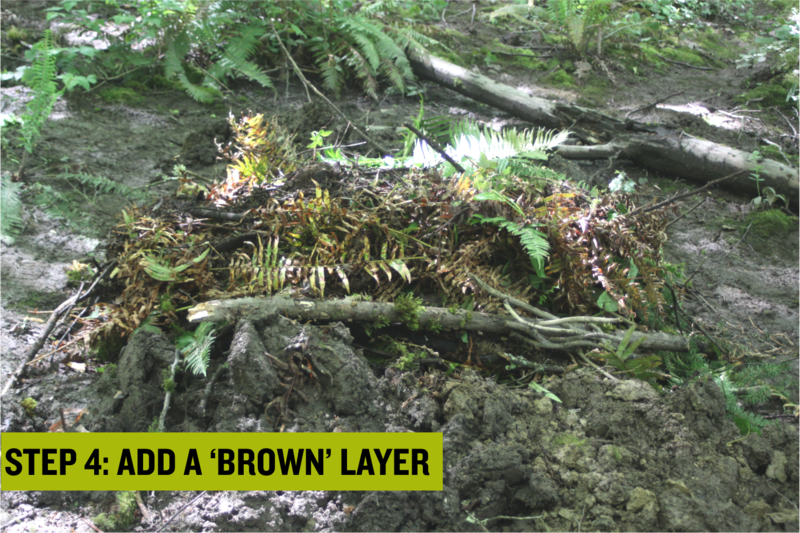 Add a layer of dead organic material, primarily dead leaves. 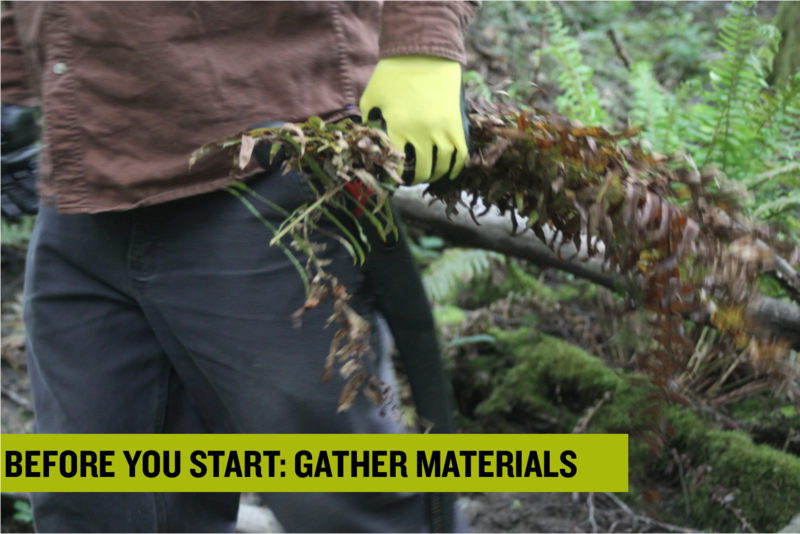 Here in Seattle’s forests, think about using dead sword fern fronds or big leaf maple leaves. Make sure to cover all of the wood with this brown layer. Now you add your ‘green layer.’ This typically consists of freshly pruned leaves, which have a lot of nitrogen and help to speed up decomposition and to build a healthier soil structure. 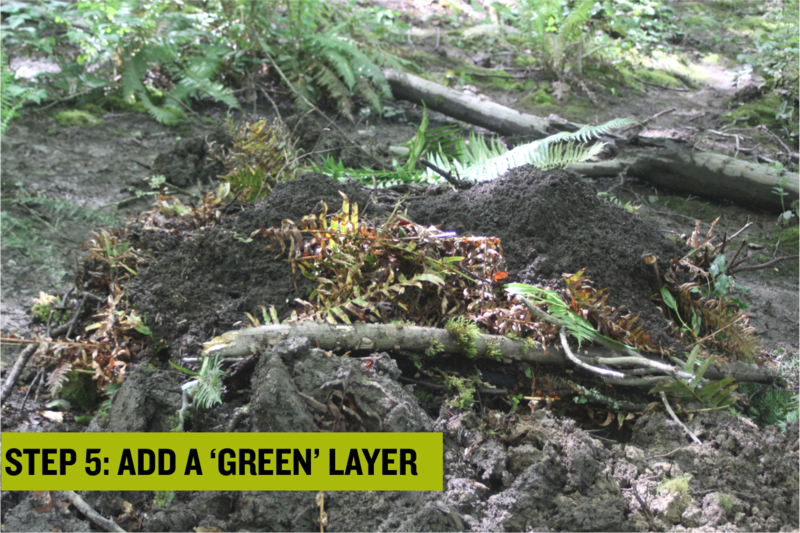 In this example, we used a layer of finished compost rather than a green layer, which you can do too! Cover your pile with soil, starting from the center, and letting gravity pull the soil where it wants to go. 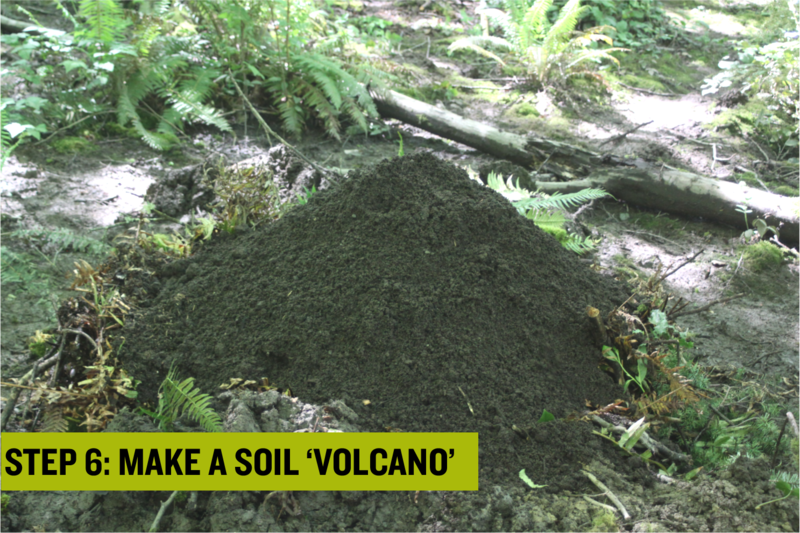 Continue to add to your pile, making a “volcano” with the highest point in the center. Make sure NOT to compact the soil; you want to allow your pile to breath and to keep oxygen flowing throughout. This soil will act as the substrate for your plants to grow roots in: being fed by the nutrients from your ‘green’ and ‘brown’ layers, while the large woody debris will serve as a long-term source of carbon for your plants. . This soil will act as your planting layer so you want to add enough soil to reach a depth of 1ft to 2ft so that your plants will have space to lay down their roots during early stages of growth. 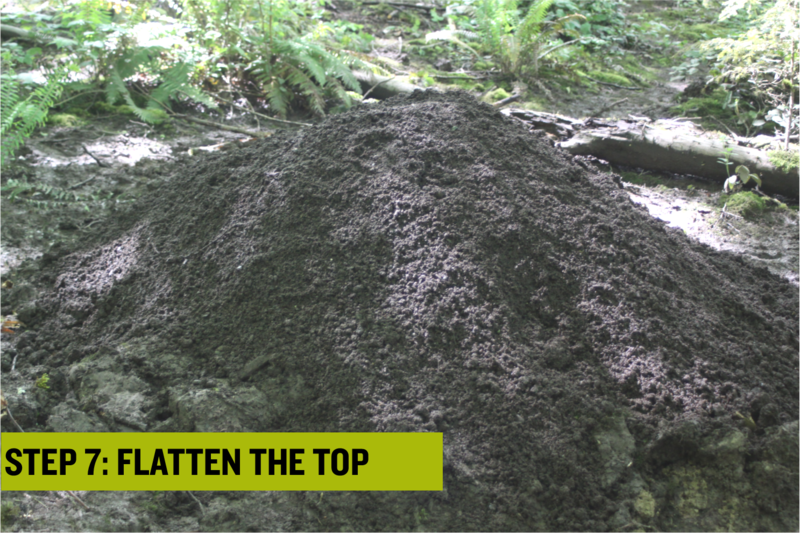 Once you’ve reached your preferred depth, smooth out the top layer of your pile. 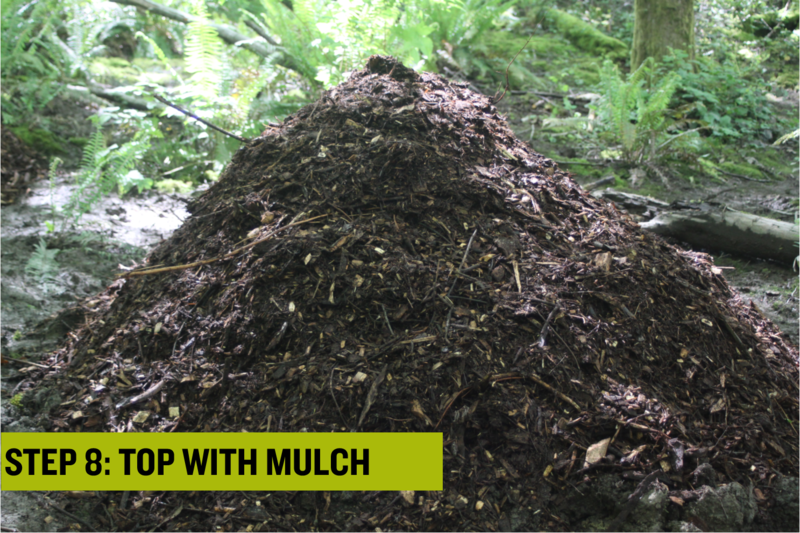 Top your pile with mulch as a way to retain moisture and to add additional nutrients for your plants. This is especially critical if you will not be planting into your pile right away, as to keep it from drying out. 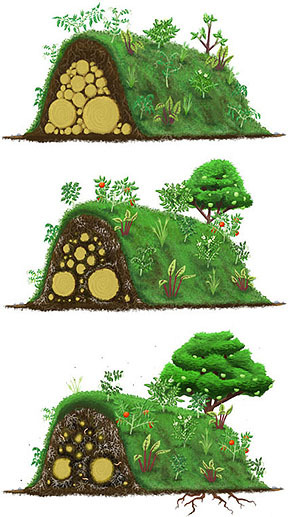 The best time to make your Hugelkultur mound is in the fall so that you can plant into it right away. Since we created ours in late Spring, we made sure to add a good amount of mulch to keep our piles moist until planting season. A big THANK YOU to Jarret Griesemer for the great lesson on Hugelkultur, and to Elizabeth Housley for organizing the training. Nicole comes to us from the Northeast, where she graduated with a degree in Environmental Studies from St. Michael’s College in Vermont. 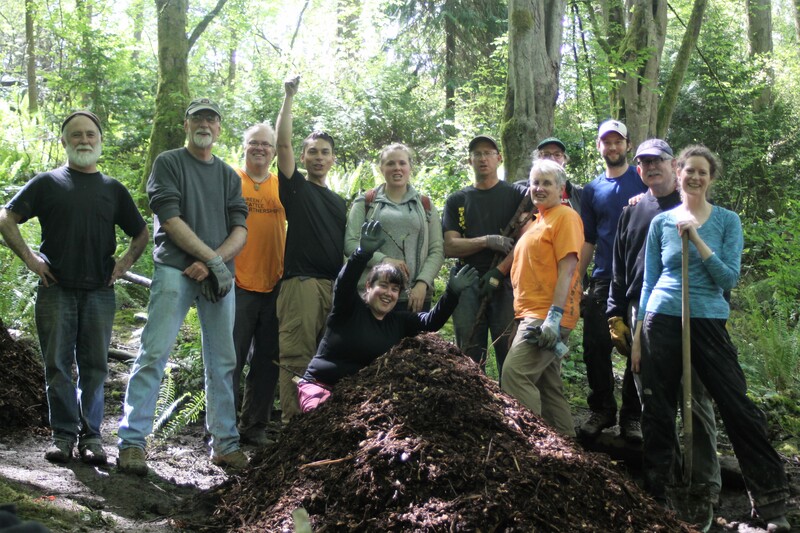 She made the jump to Seattle to serve as a 2014 AmeriCorps member with EarthCorps. After a year of grubbing immense amounts of blackberry, spraying knotweed along the Cedar River, maintaining trails in the Alpine Lakes Wilderness and planting plenty of native species, she realized that her true passions lie in habitat conservation and restoration. 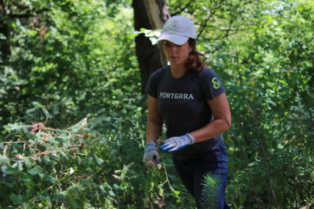 This newfound passion led her Forterra, where she helps with Green Seattle community engagement. If she’s not out frolicking through alpine meadows in her free time, you can find her in Washington Park Arboretum where she likes to create botanical-artwork from fallen flowers and foliage. Sign up to receive our monthly newsletter to stay up-to-date on upcoming volunteer events and information from our program.